Symbiosis Institute of Mass Communication is an educational institute for journalism and communication that runs under Symbiosis International University, which is a deemed university. Ever since its inception, the institute has evolved into a huge training center, which is renowned for imparting the courses that are based according to the needs of media industry. 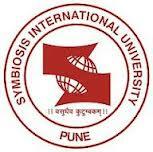 For taking admission to the institute the students have to appear for the SNAP Test (Symbiosis Ntional Aptitude Test). The campus has number of buildings and blocks that have been provided with the essential infrastructure facilities. The college offers highly equipped and well furnished class rooms and libraries.